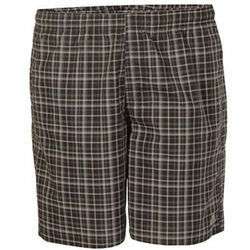 Relying on our expertise in this domain, we are into offering Men's Checked Shorts. Banking on the skills of our qualified team of professionals, we are instrumental in offering supreme quality range of Men's Check Short. In order to cater diverse requirements of the clients, we offer astonishing array of Men's Checked Short that are comfortable in nature and are light in weight. Our entire product range ensures perfect fitting and have smooth texture. Men's Checked Short is tear-resistant in nature. Backed with huge industry experience and market understanding, we are involved in providing a wide variety of Men's Check Shorts for our valued patrons. Combining the finest polices with strong business ethics, our firm is actively engaged in offering a highly comfortable Tiffany Blue Plaid Men Shorts. Our creative designers design these shorts with utmost care using soft fabric and modish technology as per the current market trends. We have carved a niche amongst the most trusted names in this business, engaged in offering comprehensive range of Men's Check Shorts. 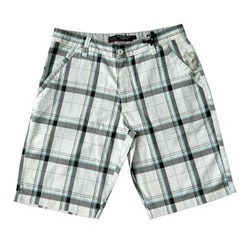 Being a well-renowned entity, we are engaged in providing a distinguished range of Mens Plaid Shorts. We are engaged in offering Plaid Shorts. We are highly acknowledged organization engaged in presenting remarkable range of Men's Check Shorts. Presents to you these ultra-relaxing checked cotton fabric Shorts. Wear these and sport a relaxed feel. The shorts are well fashioned to meet your comfort needs. Pair these with a graphic printed T-shirt to add to its coolness.